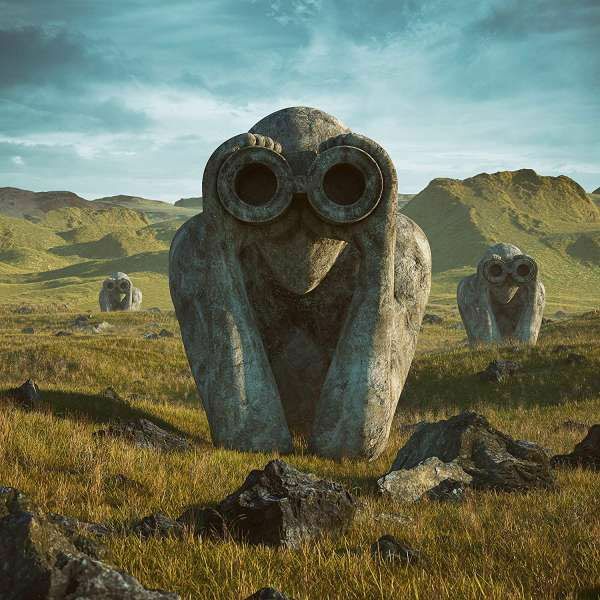 Jean-Michel Jarre has announced that he’ll release a new album later this year. It’s titled Equinoxe Infinity and is the sequel to Jarre’s 1978 album Equinoxe. It’s set to arrive on November 16 – almost 40 years to the day since the original album launched. The cover was designed by Filip Hodas, which puts a fresh spin on the original cover artwork. Jarre explains: “In days where vinyl is coming back big time, artwork deserves more attention. The cover of Equinoxe has always been one of my favourites. “Are these strange creatures watching us? Watching space? Watching machines? Watching a natural phenomenon? We don’t really know. They’re not scary, but odd and mysterious. So, I took the original Watchmen of the Equinoxe cover to continue the story. Filip Hodas is a super talented young artist who I asked to create two different pieces in line with my vision. Jarre adds: “With these two, I want to bring attention to two scenarios we are facing today with our love for and our dependence on innovation and technology. To mark the announcement, Jarre has released the first taste of material from the record in the shape of The Watchers (Movemment 1), which can be heard below. 'The Watchers (Movement 1)' is on Spotify and the like. Wow. That's cool. Artwork is excellent. Sort of like Storm Thorgerson's work for Pink Floyd. Have to say, I really enjoyed that last Oxygene album. He seemed to find some new inspiration for that or maybe it was just knowing that he had to come up with the goods for anything Oxygene related. Equinoxe was another favourite from his early period so here's hoping he can pull off another minor miracle. Yeah, I enjoyed Oxygene 3 a lot. It wasn't quite up there with the first two for me, but it definitely felt like he was putting everything into it, unlike just about everything else he's released since 1997. I heard Equinoxe (five) when I was about 14, and it was one of the most intense experiences of my young life. Such a mind blowing moment. The seed was sown for when I heard Aphex a decade later and probably the reason why today I choose to procrastinate a portion of my time here on watmm! Edited by MDF, 15 September 2018 - 01:39 AM. Of course we don't know nothing about the music, but isn't this artwork really splendid? Edited by Jafs, 04 November 2018 - 03:03 AM. Got this yesterday. Unfortunately, it's not good. Some bits are well, a bit embarrassing. There's still 7 and a half hours to meet the deadline -go go go! !